My favorite read-aloud at the moment is "The Gruffalo" by Julia Donaldson. If you haven't read it yet, go buy it now. 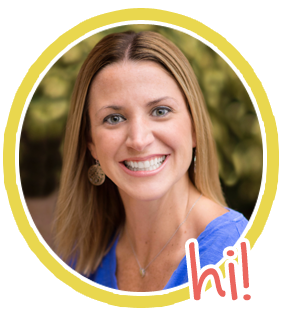 It will be a class favorite. I love the movie too because it matches the book perfectly! There is also a website with activities & songs to explore. 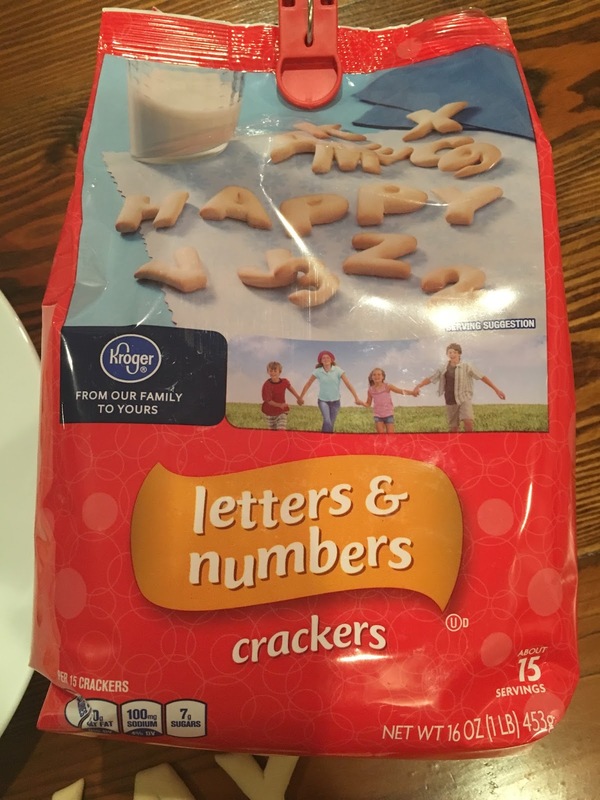 I stumbled upon these "animal crackers" at Kroger yesterday. Not only are they a delicious snack, but they are perfect for Word Work & Spelling activities. A lot of the alphabet cereals and snack foods out there are so hard to decipher! These letters and numbers are so clear. 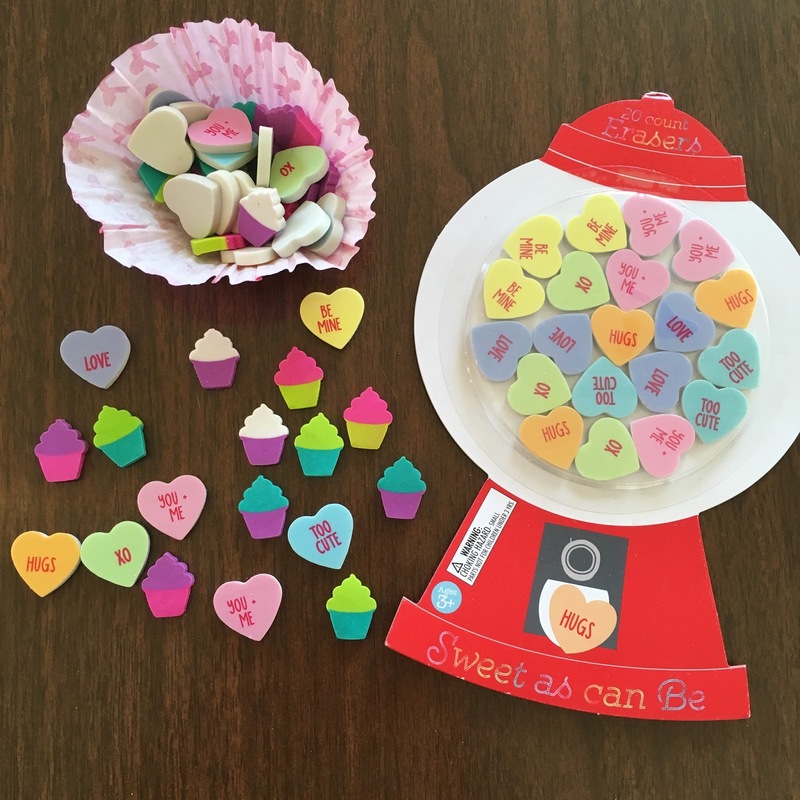 These would be perfect for spelling practice, Word Work center, or just a fun Friday snack! I've been scouring Pinterest for Valentine's Day ideas that are fun and easy! I'm loving these chocolate covered pretzels with festive sprinkles. 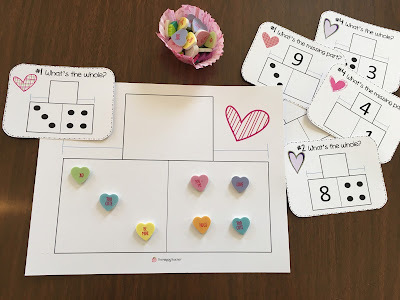 Kiddos will practice addition and subtraction using the part-part-whole strategy. 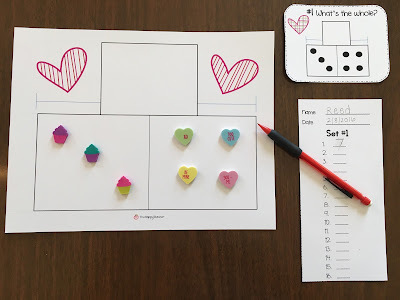 Gather your materials: manipulatives, part-part-whole mat, recording sheets. 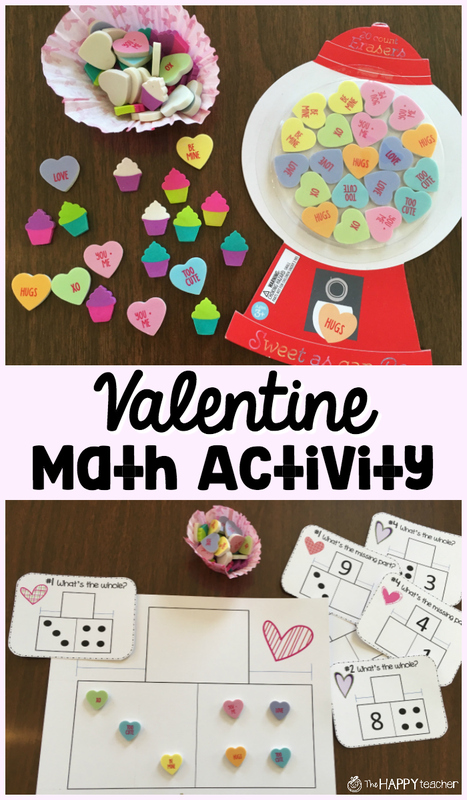 Festive & fun for Valentine's Day!